Joint pain is a form of discomfort, ache and soreness that occurs in the body bone joints. Joint pain can be wild and severe. A severe joint pain can last for few weeks upto several months. Joint pain is caused by different factors. 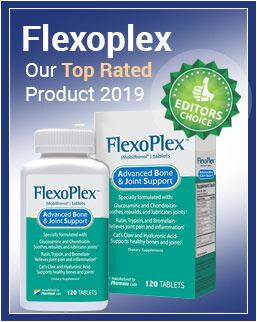 These can include rheumatoid arthritis, osteoarthritis, bursitis, tendinitis, lupus, gouty arthritis, osteoporosis, chondromalacia of the patella, fibromyalgia, cancer, sarcoidosis, Osteomyelitis and several other conditions. There are several medications that can help in treating joint pain but you can also opt for less expensive medications to treat your joint pain. Home remedies can relieve from the excruciating joint pain. The following are some of the home remedies for joint pain. It can be very challenging when you are in pain and then you are asked to exercise. As hard as it may be, exercises can be helpful in relieving you from the joint pain. Exercises help in controlling weight which can put pressure on the joints resulting to more pain. Exercises also strengthen the muscles that support the joints. They make the synovial fluid to become viscous which favors lubrications of the joints keeping them smoothly moving. Exercises that help you include jogging, running, swimming, stair climbing, and light-weight lifting. Avoid over exercising as this can cause injuries which can worsen the situation. A fifteen minutes’ walk daily can also be helpful to the joints and the general body. Massage helps in ensuring good flow of blood in the whole body. Massaging the affected area can help in reducing the stiffness and inflammation. You should only massage the affected area if it does not cause pain. Massage usually facilitates the production of hormones that can help in reducing the pain. Massage also helps in developing, maintaining and improving the physical functions of the body. Massages can also help in preventing pain and stress effects. Water helps in softening the cartilage and making it hydrated. Water also helps the body to have adequate blood volumes enabling nutrients to move through the blood and to the joints. Water helps in removal of waste from the body which helps in making them less likely to ache. These compresses help in improving the circulation of blood in the body which results to more nutrients taken to the area where you are experiencing pain. Hot compresses can be done using a piece of cloth that has been put in a hot water and then compresses on the affected area while cold compresses can be done using ice wrapped in a piece of cloth and then put on the affected area. Cold compression helps in relieving pain and inflammation. Avoid putting ice directly to the affected area as this can result to ice burns. Yoga is usually practiced to unify the body, mind and the spirit so as to foster great connection between an individual and the surrounding. Yoga is beneficial in several ways. Generally it improves the physical fitness. It helps in increasing the muscle strength which helps in protecting bones, improving body flexibility and balance.Asanas, a type of yoga, can be helpful in relieving joint pain and they can also be done at the comfort of your home. Onions are anti-inflammatory foods that contain phytochemicals that help in improving the immune system. Onions also contain sulfur compounds which inhibit the enzymes that cause pain. Taking fresh onions can be helpful as they have analgesics effect that is similar to the effects of morphine. Garlic is helpful in reducing inflammation. It is advisable to use it with mustard seed oil. You can heat the mustard oil and mix it with garlic then massage the affected knee while the oil is still hot. Ginger has anti-inflammatory compounds which can help in reducing inflammation in the affected joints. Cayenne is a pain reliever and can be used to treat painful joints. Cayenne stops the production of substance P which is responsible for transmission of pain signal to the brain.When there is interference there is minimization of alerts to the brain leading to a temporary relief. 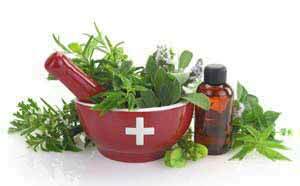 It is commonly used as a topical treatment. Epson salt contains Magnesium sulphate which is helpful in relieving pain. You can mix Epson salt with hot water in large bowl then deep your painful joints in the water for about fifteen minutes. You can also take a bath using water mixed with Epson salt or fill a tub with Epson salt water and soak for fifteen minutes. It contains Magnesium, Potassium, Phosphorus, Calcium which are helpful in relieving joint pain and removal of waste from the body. Apple cider vinegar is useful in treating joint pain as it has properties which help in reducing pain and inflammation. Turmeric contains anti-inflammatory properties, its active ingredient called curcumin is a powerful oxidant and its ability to lower the levels of two enzymes that are responsible for causing inflammation associated with joint pain. Fenugreek seed are helpful in treating joints. You can soak the seeds in clean water for eight hours then munch the seeds. Carrots when eaten help in nurturing the ligaments which can help in reducing joint pain. You can grate carrots and squeeze lemon juice on it then eat it. Medication such as Relief Factor can be helpful in relieving joint pain as it is a form of relaxation. When your body is relaxed the body work accordingly which can cause the pain to diminish. These home remedies can be helpful in treating your joint pain and save you the expensive cost of medicine.